DEPricing is an application that your sales force and customers can use to send in orders to a remote host. DEPricing has all the same functionality of it's predecessor DAC Express: creating sales orders, credit requests, label batches, retail inventory and prebook orders. DEPricing has the added functionality of pricing so the users knows exactly how much they are spending on their order. 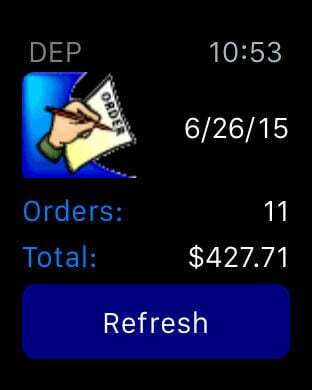 DEPricing has also been designed to work on the iPhone as well as the iPad. DEPricing works with only distributors that are set up to use it. For more information please contact Support@CDRSoftware.com.